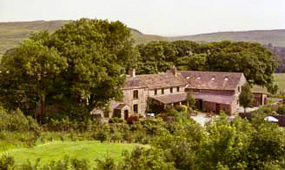 Retreats will be full board from 4.30 pm Friday tea time to 4.30 pm Sunday tea time teaching hours are 10 am to 4 pm Saturday and Sunday with a talk on the Friday evening which will last roughly an hour at High Trenhouse, Malham. click on the link to have a nosey at the venue you wont be disappointed! I have also asked each teacher if they would provide a one day class on the Friday 10 am to 4 pm (this will be in our shop at Watershed Mill,) this means that if you are coming to a retreat you have the option of tagging an extra day on to it. Thank you Anthea for arranging / organising the Quilt Retreat at High Trenhouse with Jennie Rayment. I was only able to manage the Friday class + evening lecture but I enjoyed every minute and will definitely book again next year. Thank you Carol, that is so lovely to hear. I am thrilled that you enjoyed yourself and really look forward to seeing you again. Hi Mary, thank you for your lovely comments. I chatted to Gail when we were at the NEC so we will see in the future as its a possibility she may come. Would you like me to add your name to the list for next year? Are you having any retreats in 2016?